Some of the little details that can get overlooked at a wedding often make for beautiful wedding pictures. Such is the case seen in this photograph. 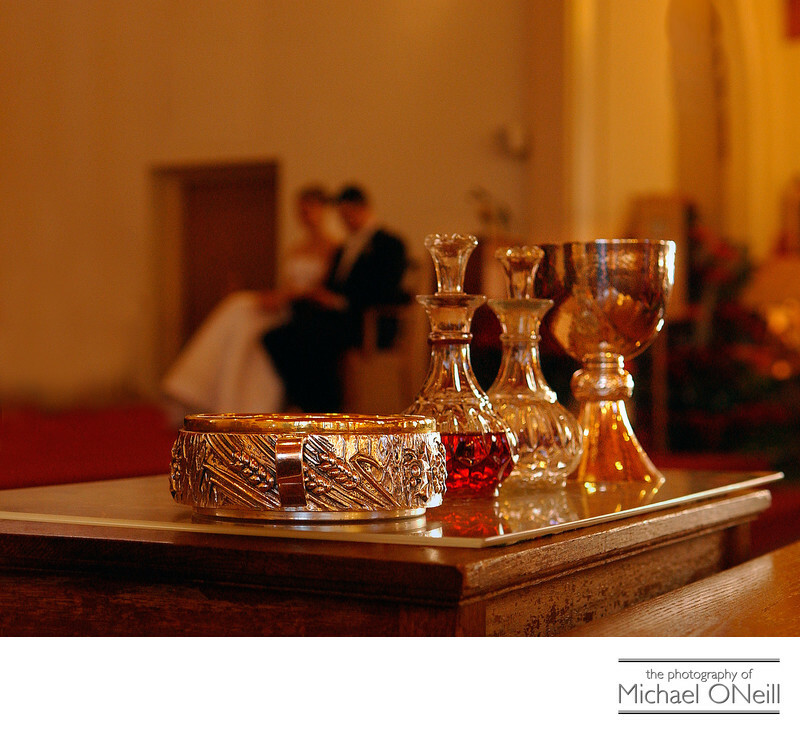 It is taken for granted at a Catholic Wedding Mass that communion will be a part of the ceremony. The gifts of bread and wine are brought to the altar...usually by some people who are very special to the bride and groom. Before this part of the ceremony I spotted the gifts of bread and wine off to the side of the altar. I positioned myself so that I could see the bride and groom beyond the religious vessels and chose a very large aperture on my camera so that I could isolate the items against an out of focus background. Photographs like this make for amazing background images when I am preparing one of my custom wedding album designs.